Who Needs a Firm Mattress? A firm mattress is most preferred by those who sleep on their backs and stomachs as well as overweight individuals. You have to know your sleeping style or position before you decide to buy a new one. A firmer model is not an ideal choice for side sleepers. 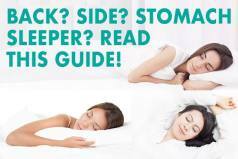 If you are a back sleeper, a firm model can help support your spine as it contours and conforms to your body curves and movement. In the case of stomach sleepers, they can also benefit from a model that is firm enough to prevent misalignment or arching of the spine and sinking of the pelvis. People who are on the heavier side can also find this type of mattresses extra helpful because it prevents sagging due to a very soft model which can often precipitate neck or back pain. Doctors and chiropractors all agree that a firm model helps promote restful sleep and good health. Nobody has ever debated the fact that they do have medical and sleep benefits on top of other things. If you hate sagging in your mattress then a firm model can be the perfect choice to address that issue. Additionally, it also promotes good airflow, breathablity, core support, and edge support which overall provides perfect cushioning for the neck, spine, and hips. It focuses on your pressure points while providing maximum support for your core. People have varied preferences in terms of the “feel” of the foam or how responsive it is to your skin and body curves. All of these should be considered when trying to find the model that can provide the ideal support and comfort you need. Spine Alignment – If you sleep without the right support for your back and spine, then you will feel the discomfort and pain the next day. Proper posture is important even when sleeping. A firmer model will keep your spine in proper alignment to alleviate back pain and strain. Proper Weight Distribution – A too soft model has its drawbacks, one of these being sagging at one or too many points when you are lying flat. This can cause your back to arch as well as puts pressure on your joints, resulting in pain and aches upon waking up. Having a firm one will help with proper weight distribution that can provide support for your joints and back. Deep Sleep – Firmer options will help you avoid frequent wakefulness due to discomfort because of a sagging mattress. This helps you achieve deep or REM sleep which is needed for cellular regeneration and peak body functioning and performance. Better Motion Isolation – Being able to choose a model that prohibits motion transfer is extremely important if you’re sharing a bed with a restless sleeper. It’s a rule of thumb that plush mattresses have more sinkage compared to firmer ones. There are lots of times that people tend to sacrifice comfort for great support – luckily, now you can have both for the price of one. Aside from the traditional innerspring mattress models, there are now more materials to choose from in the construction of a firm model. You can choose from latex, memory, innerspring, gel foam, and a combination of different polyfoams on the market. Apart from that, you can also customize or personalize your sleeping experience as offered by different brands and manufacturers. Sleep ergonomics educates people about how your mattress type and firmness level can affect sleep quality. You may be comfortable with a very plush model but this can cause misalignment of your spine. You get to experience a sound and restorative sleep with a model that combines perfect comfort and support that gels with your lifestyle, weight, body type, and sleeping position. Good and balanced body positioning or posture while sleeping promotes relaxation and helps you sleep your way to good health. Mattress Support – One of the biggest problems for sleepers is a sagging mattress which can be due to old age or poor quality of materials and construction. Foam indentation and sagging naturally occur over time. Most warranties cover sagging problems in excess of 1.5 inches so make sure to check the warranty details before making any purchase decisions. This is important when buying a mattress or for any other furniture or appliances. If your bed has reached around 8 to 10 years, the materials and overall structure could disintegrate at some point. This also depends on several factors like the body type, frequency of usage, firmness level, and weight. All of these can affect the total years of performance or its lifespan. Edge Support – The bed does a lot of multitasking too just like you. People usually perform different activities on their beds and often sit on the edge while playing with children, working on their laptop, or doing some DIY projects. 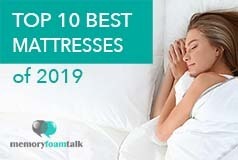 It is therefore important that a firmer mattress should also have good edge support to provide you the platform for your ever-changing needs and tasks for the day. Lack of edge support can pose multiple problems as it can lead to a sagging mattress. A good way to check if a particular model has great edge support is that there should be consistency in the level of firmness from the center to the edges. More so, for couples, ensuring that a bed has good edge support is important to be able to support robust shifts of movements in bed while also allowing some amount of push back. Core Support – Most individuals who prefer firm mattresses are those who suffer from chronic back or neck pain and different joint pains. If you are also struggling with core pain or all muscles in that area – then you should put more attention on your mattress’ firmness level. Firmer models are very helpful if you are aiming to relieve pressure points. 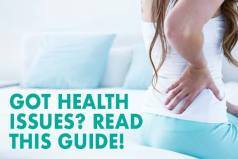 Inconsistency in the firmness of your mattress is the usual culprit for common muscle aches and joint pain because a sagging or worn-out mattress is causing too much strain on your muscles. Breathability/Good Air Flow – Some firm mattresses tend to overheat especially because the materials and construction can be quite denser than a soft model. It may be great in terms of providing your body the support it needs, but could be bad because this could lead to sleeping hot. However, in general, soft mattresses have more hug and sinkage, causing more skin to be in contact with the fabric, which can lead to sleeping hot. Hybrid mattresses and innerspring types have good airflow but sometimes can lack in support. When shopping for a firm mattress, you have to ensure calculated purchase decisions. Look for a model that will make you sleep cool and comfortable while providing the support you need. If you are looking after your spine health, then you should opt for a firm mattress with less sinkage that can put your spine in all the wrong directions. A mattress should provide an equal mix of comfort and support which you can achieve in a firm mattress. There are different firmness options available now in mattress brands which help customers personalize their own mattresses or even when they share beds with a partner. Having the absolute freedom to tweak the firmness design of your mattress is an attractive feature of many mattress manufacturers today. Everybody deserves that taste of luxury every now and then. The Loom & Leaf is an ultra-luxe model that has the feel and support of a high-end product without the strain on your budget. It’s made of eco-friendly, breathable, and hypoallergenic materials that create that luxurious feel from layer to layer. It’s made of premium memory foam material that has good airflow. The quilted top cover is made of organic cotton which provides optimal support for the core or midsection. This is a US-sourced 5-pound memory foam that provides a cool layer to sleep on while it contours and supports every curve of your body. The support base is composed of high-density foam which serves as the foundation that supports the layers of foam above it. Its core is made of 5-pound visco-elastic memory foam. It has an almost zero motion transfer which couples would love. You get to move around without the bed shaking uncontrollably. The Loom & Leaf comes in two firmness levels – Firm and Relaxed Firm. The Firm model is about an 8 out of 10 while the Relaxed Firm is around a 5 out of 10 (10 being the firmest). This helps in transitioning varied body types and weights into its supportive layers. It’s made comfortable and supportive regardless of your sleeping position. The Loom & Leaf is made comfortable and supportive regardless of your sleeping position. If you’re a fan of firmer mattress, the Firm Loom & Leaf is the right option for you. The Helix Sleep is one of the first online-only brands of mattresses that offer customers personalized or customized sleep. Foam combinations and firmness and density levels, as well as the order of layers, vary from one person to another. It’s a 10-inch model with a layer of micro coils and three layers of polyfoam. It has a thin cover that is 100% made out of polyester creating a breathable and cool sleeping cover. Helix Sleep’s level of firmness can be customized from 3 to 9; 10 being the most firm. The Medium firmness configuration will most likely suit all sleeper types. Overall, it provides good support and is very comfortable regardless of your sleeping position. It also comes in two design options – Blended and Split. This takes into consideration your own sleeping preferences and integrates that into the mattress configuration and construction to provide you and your partner the firmness level and comfort you require. The Novosbed is a great all memory foam mattress that provides excellent support and comfort and is a great choice in firm mattresses. You can easily adjust the firmness level with the Comfort plus kit that comes free when you order it. The Novosbed gains approximately 2 inches in height when this is added. This 11-inch mattress is composed of three layers of foam with different firmness options. Many customers would attest that its Medium firm model is perfect in firmness, comfort, and support. This has a less responsive memory foam which is firmer and good for sleepers who are experiencing chronic pain, numbness, and discomfort in different areas of the body, especially the back, hip, and shoulders. The Novosbed has very good motion isolation and is ideal even for those who are on the heavier side. It is also very comfortable and supportive regardless of your preferred sleeping position.